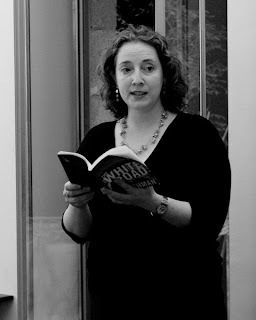 TANIA HERSHMAN was born in London in 1970. In 1994, she moved to Jerusalem, where she now lives with her partner and two cats. A former science journalist, her short stories imaginatively marry her two loves, fiction and science, in the here and now. 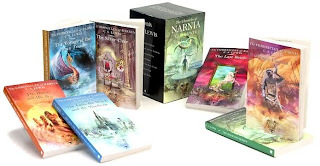 She has won awards and prizes for her stories which have been widely published in British, American and other international literary journals. Many of her stories, which have been broadcast on BBC Radio 4 and published in print and online, are inspired by articles from popular science magazines. 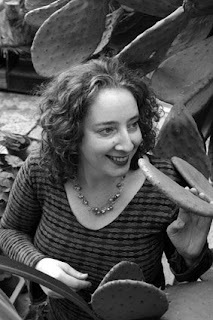 In November 2007, she founded The Short Review, a website devoted to reviewing short-story collections. Her début collection, The White Road and Other Stories, was published by Salt Publishing in September 2008. For further information on the author or her book, visit The White Road and Other Stories. Also check out her blog at TaniaWrites. 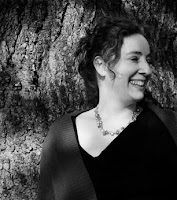 Eric Forbes spoke to Tania Hershman recently in conjunction with her Virtual Book Tour organised and coordinated by Salt Publishing in the U.K. Difficult? Yes. Difficult to take the first steps, to learn how to write a short story and then to learn how to write the sorts of stories I wanted to write. The MA in Creative Writing didn’t teach me to write but it got me to another point, a point at which I could almost say “I am a writer”. I sent a short story to a production company calling for submissions for BBC Radio 4 and they accepted it. They passed it on to an agent. She took me on but couldn’t find a publisher, so I did it myself. I sent out stories to many, many publications, and was thrilled when several editors wrote back, liked what I wrote and published them. I am still sending stories out, still thrilled when they find a home. With my confidence boosted, I sent three stories to Salt Publishing, they asked for my collection, and then they made my dream come true and offered me a book deal. I am very grateful to them, they made me a beautiful book. My collection is comprised of 27 stories (it’s great value for money!) Half of them are flash fiction, one or two pages long. The other half are “science-inspired”: I read articles from U.K. science magazine New Scientist and allowed my imagination to roam. This lead to some odd scenarios: a woman sets up a roadside cafe on the way to the South Pole, a grieving widow bakes science cakes, a girl is paralysed when it rains, another talks to her knees. I don’t know if this would fit under “science fiction”, I don’t like to label or pigeonhole my stories―or anyone else’s for that matter. I am loathe to claim that short stories are gaining popularity, that there is a new and sudden rush for the short story―Lahiri and Enright are already well-known, but where are the new writers being lauded and reviewed? What I wonder is if Lahiri and Enright’s collections actually bring new readers to the short story form as a whole, or are they only read by readers who enjoyed the authors’ novels? That said, it is good for the short story to have some “celebrities”, such as Miranda July, who brought a little razzle-dazzle to our world! However, I don’t want to cry “oh, poor short story”, because no one wants to read something if it is portrayed as the pathetic cousin of the novel. Don’t feel sorry for the short story, it’s perfectly fine in its small, delightful corner. Next stop on the Walking the White Road Virtual Book Tour will be at The Eco-Libris blog on December 10, 2008, to talk about books, trees and the environment. What links a cafe in Antarctica, a factory for producing electronic tracking tags and a casino where gamblers can wager their shoes? They’re among the many venues where short-story writer Tania Hershman sets her unique tales in this spellbinding début collection. Fleeing from tragedy, a bereaved mother opens a cafe on the road to the South Pole. A town which has always suffered extreme cold enjoys sudden warmth. A stranger starts plaiting a young woman’s hair. A rabbi comes face to face with an angel in a car park. An elderly woman explains to her young carer what pregnancy used to mean before science took over. A middle-aged housewife overcomes a fear of technology to save her best friend. A desperate childless woman resorts to extreme measures to adopt. A young man’s potential is instantly snuffed out by Nature’s whims. A lonely widow bakes cakes in the shape of test tubes and DNA. A number of these stories are inspired by articles from science magazines, taking fact as their starting points and wondering what might happen if ...? In these surreal, lyrical stories, many of which are only a few pages long, Hershman allows her imagination free rein, as her characters navigate through love, death, friendship, spirituality, mental illness and the havoc wreaked by the weather. Thoroughly enjoyed that. Thanks Eric and Tania. a beautiful interview, perhaps my favourite of the tour so far. and I will be definately visiting eric's site again - great presentation, & congratulations! Congratulations, Tania! Could you explain further the difference between science-inspired stories in contrast to science fiction? Thank you. Nik, thanks so much for coming, reading and commenting. James - definitely visit this blog more often, it's wonderful. John - I talk a bit more about this whole area in my interview on Keeper of the Snails. I hope that answers your question. Thanks so much for stopping by and commenting. I have to say, also, and this is with no disrespect to the other places Tania's visited on her tour, that I agree with James in that this might have been my favourite stop. Great stuff, Tania! Cs they say in Italy (and, I imagine, France), Chapeau!